the previously struggling, injury prone New York Giants upset the Philadelphia Eagles 14-13 and knocked out Michael Vick in the process with what’s apparently a bruised hand. That halftime lead was 20-0 and the team that rallied back to win 26-23 was the DETROIT LIONS, who are now 3-0. You know, maybe Harold Camping and the Mayans were actually on to something with all this end of the world stuff. 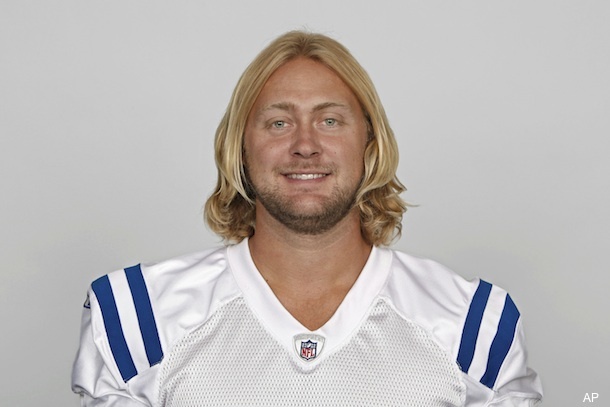 The defending AFC champion Pittsburgh Steelers just barely escaped with a 23-20 win over the Peyton Manning-less Indianapolis Colts, despite Colts QB Kerry Collins leaving with a suspected concussion in the fourth quarter and despite his replacement, Curtis Painter’s hair looking like the world’s worst wig. Last but not least, the Buffalo Bills are now 3-0 after a 34-31 win gave them their first victory over the New England Patriots in eight years. Yes I will be doing another post about this at some point this week, yes that loud yell you heard coming from Campus Center Dining Hall on Sunday probably was me and yes I will be gloating over this for the rest of the week. Sorry Boston fans.